Eugene Peterson captures the moment in the most beautiful prose. Can you feel the wind? Breaking, crushing, destroying......until it eventually settles down. Here in Hogsback, we know those storms, and we all run to unplug the modems before all our electronic equipment gets destroyed. And eventually, even the wind “runs out of breath...” and it all gets calm once again. We have all gone through stormy patches in our lives, times that we had felt overwhelmed, tired. There is one thing certain in this life: there WILL be storms. There are times when it gets dark around us. The sun had set, and the beauty of the sun-set had been swallowed by the dimmed light.....day's task is almost over..
Can you sense the anxiety that these skilled men of the sea, must have experienced? v 38 : Where is Jesus under these circumstances? Question: What was required of these disciples, in order to save them? - still want to carry the responsibilities of being in control? We all wrestle with this to some degree, at some stage on our lives. This thing called DOUBT. - an ambivalence or in-decisiveness over one issue. You may be a full-fledged Christian, without having EVERY single matter of faith 100% settled or neatly defined. This is the man who pointed at Jesus Christ, and said: “I have seen and I testify that this is the Son of God”. But what happens.....he gets arrested, thrown into jail, and doubt starts troubling him.....he gets uncertain about what he had believed before. “Is Jesus really who He claims to be? Or should we be looking for someone else”. So he sends two of his friends to go and check out with Jesus, and ask Him point blank the question. What is Jesus' reaction? He doesn't blame John. He doesn't disqualify him. No criticism. Paraphrased: Go back and tell John about these evidences you have seen with your own eyes that authenticate My claim to being the one and only Son of God. That will renew John's confidence and will bolster back up his faith. How does this effect Jesus' opinion of John? Does He think John is worthless? No good for the kingdom of God any more? NO: after this episode, Jesus pays John the highest compliment.....”I say to you, among those born of women, there is no one greater than John”. God wants dialogue with us as His children. That's not to say doubt is praiseworthy. That is NOT what the Bible teaches. 3. Many people think doubt is unhealthy. On the contrary: it can produce some positive changes in our spiritual life, if we take steps to resolve it. If we take steps against doubt, it is like an antibody which our spiritual life develops....to boost our spiritual immune system. We will have the defence mechanism to address future situations which may derail our faith life. How does doubt affect us? How do we address doubt? 1. Find the root of your doubt......We need to make a diagnosis. - too little time spent in God's presence? Doubt is such a powerful instrument that the devil uses, to try and separate us from our Heavenly Father. He wants to destroy our close relationship with God. Don't allow the devil to steal what does not belong to him. God is powerful, loving and willing to hold you in His hand....may He protect you and keep you safe! Heavenly Father, we so often forget that You are with us in the storms of life....right there, in the boat, lying on a cushion.....waiting for us to call on You. How foolish of us.....to work ourselves into a frenzy, in stead of calling on You first, allowing You to be in control.....of the wind, the storms and our lives. - write us off …........... because of this weakness. 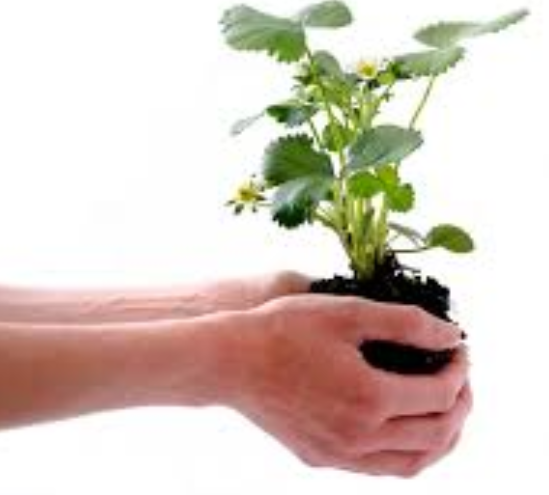 We come in a new way, this morning, reaching out to You, putting our hand into Your hand, and letting go of our anxieties. Heavenly Father, thank you for Your graciousness, to give us another chance. Help each one of us to leave here, knowing that we have a Father, who cares and who wants to steer our lives. Thank you for Your Word, and examples of humans who have stumbled before us. Let us learn from them and their examples. We want to honor and praise You! one who cares, and wants us to live lives, believing and knowing that You are in control. Thank you, that we can close this prayer in Your Holy name. This last Sunday we celebrated World Environmental day during our service at our little chapel. For those living in Hogsback, we are intensely aware of nature and that we should tale good care of God's creation. Helen Fox reminded us of how God has entrusted his creation to us and why we, as Christians should take this very seriously. This special Earth service will address three common perceptions held in western earth-related thinking which lead to us to engage in actions that are devastating to the earth, creatures and ultimately ourselves. We will have a time of praise in celebration of creation as well as scripture readings. Come to be challenged to think more deeply about the goodness of God and our world. This lovely couple, Mike and Carole, were married five years ago, on 26 December 2013, in the chapel. The remarkable groom was 80 when he married and has gone around with a smile on his face ever since. Mike will turn 85 on 6 September this year. 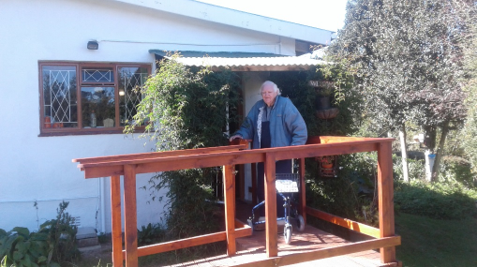 As Mike needs to spend much of his time at home now, Fritz has made a ramp at the entrance of the house and changed the bathroom into a shower room so that he can be more comfortable at home. Fortunately, Carole is able to care for him, so the couple make a good combination. They have many visitors. Mike’s life has been one of service to his community. 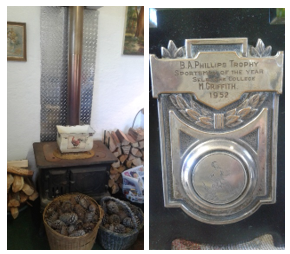 He has lived in Hogsback for many years during which time he has made an impact. As a businessman he ran the shop for a while and of recent years he has been an estate agent. Many of the house sales in Hogsback, have his imprint on them. He is a committed Christian who has been fully involved with the Chapel. For decades he has been a Chapel Councillor and a lay-preacher and there are many instances of his being in demand to take weddings and services. He and his friend, Neil Cooper, ran the Christmas and Easter Arboretum services for many years. He has also played a role in many aspects of Hogsback, for instance he was Chairman of the Hobbiton-on-Hogsback Association and spent many years on the Community Police Forum to ensure security for the Hogsback community. One of the most special aspects of his life is how he has gone out of his way to help the needy with some amazing accomplishments. On one occasion he heard a young primary school child, Sipho, sing in the kitchen of the Lighthouse Steak Ranch (previously called The Enchanted Tree House restaurant) where Mike was eating. He asked to speak to the boy and suggested they sing ‘Silent Night’ together, as it was Christmas time. Together the two sang ‘Silent Night’ to the delight of the other patrons. Mike managed to get Sipho to sing in the chapel during the Carol Service where he wowed the congregation and a visitor offered a donation for him to join the Drakensberg Choir that year! Mike managed to get him accepted and Sipho was able to experience the highest level of voice training and education for a year. Earlier, he was able to help another disadvantaged child from Hogsback, Luke, to be adopted, and after 13 years is now at Bishop’s in Cape Town. Mike has enriched so many both as a lay-minister compassionately taking wedding services and being a caring benefactor to the underprivileged. 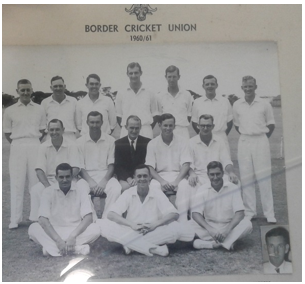 After school he stayed in East London where played cricket for Border as a batsman for 10 years. He worked for the Weir Group and became MD of the Agriculture Group. He led a superb team that resulted in him being declared the top dealer for three years. 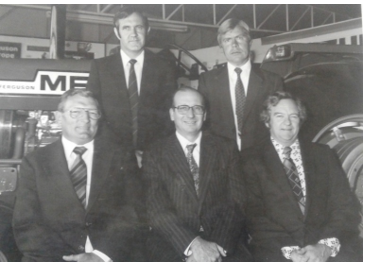 In 1982 he was awarded a trip to London to meet the President of Massey-Ferguson world-wide. To show his enterprise, he volunteered to go to Dordrecht even though it is an Afrikaans region and his Afrikaans was not strong. Not only did he learn to speak Afrikaans, but he stayed for three years and during that time he scored the highest turn-over ever. He did, however, have some rather strange experiences like having the police confront him to check that he was not playing golf when he went for a walk on the golf course on a Sunday! During that time, in the history of South Africa, nobody was allowed to play or partake in any sport on a Sunday. Mike bought his property as a holiday home for his family in Hogsback in 1980. The name says it all, Tranquility. He has three children. Michele, lives in Grahamstown, where she runs a project to restore the health of donkeys, named amaTrac uluntu, which is a training and development non-profit organization registered in 2012. AmaTrac uluntu works with the local communities to support working donkey owners and how to give guidance. Laurel is a housewife in Wellington, New Zealand and Gary whom he fostered as a 16-year old boy, is an Anglican priest in New Zealand, in fact he is the Vicar general of Otago. Mike has six grandchildren, one in China, teaching English, and the others are all in New Zealand. Carole, nee Minnaar, hails from Pretoria. She became a professional model, married in 1970 and has a son Bertus Smith. He is a lawyer, married to Adele and they live in Pretoria. Carole has 2 granddaughters. A fascinating time for Carole was when she joined the South African Embassy at Abrahamskraal in Umtata when the Transkei was an ‘independent’ Bantustan. The Transkei became an independent state in 1976. Amongst other jobs she would check passports into the ‘independent’ Transkei. Then she joined the East London Publicity Association in the late 1970s. At that stage she was a single parent with a son and Mike was also a single parent with 2 daughters and a foster son. They met for the very first time at the Arminel Hotel, where Mike and his 2 daughters and Carole and her son were spending the weekend. They met, and went out for a few years. After East London she spent 25 years with Nedbank at George, Knysna and Plettenberg Bay. It was much later that she and Mike got together again. This time it was a romantic engagement and they married in 2013. Carole moved to Hogsback where the couple are happily married at their home Tranquility. 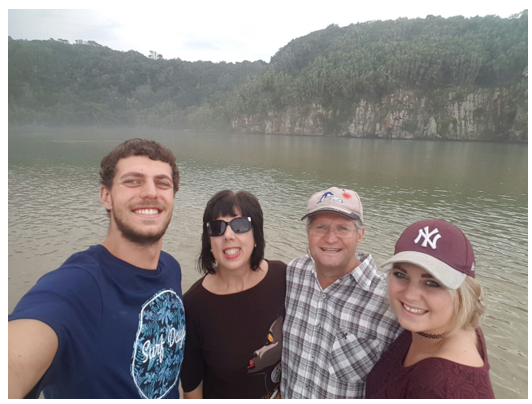 Our next St Patrick’s profile in 2018 is on Leon van Niekerk and his family. Leon has made a huge impact on the St Patrick’s congregation since about three years ago when he took up a post at Fort Hare University. 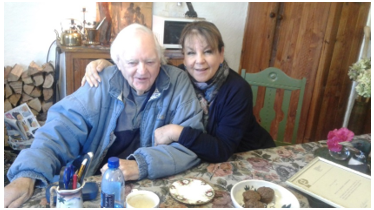 He was staying at Hogsback looking for a house and involved himself fully in all activities and was a popular figure in the community. Apart from his helpfulness and commitment; he has three strings to his bow: a Psychologist; an Academic and a Dominee! 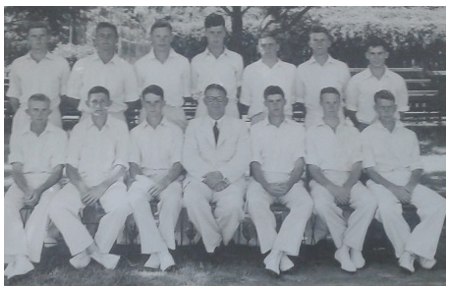 In addition, he took the Afrikaans services and was elected to the Chapel Council. Unfortunately, the house he found was in Gonubie which suited Elzette as she had been offered a post at Fort Hare as well, in the East London branch. 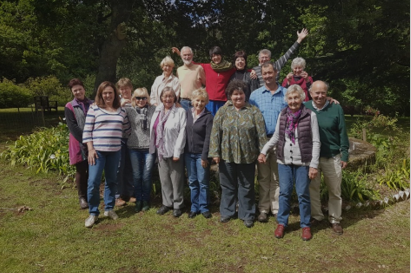 However, their loyalty to St Patrick’s was such that they have continued to be part of the St Patrick’s congregation by travelling from East London up to Hogsback on the first Sunday every month to take an Afrikaans service organised by Norma who also plays the piano. Leon has touched the congregation through his warmness and superb sermons. He has also been valued for his counselling. He has been the leader of two of our annual retreats, each of which was memorable. Leon and Elzette van Niekerk were married in July 1992 and are newcomers to the Eastern Cape. They have been living in East London since January 2016. Leon was born in Vereeninging, where he grew up and completed school in 1981. 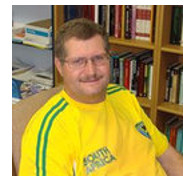 He studied at the North-west University (then Potchefstroom University of Christian Higher Education) till 1989, where he completed his BA degree, Hons degree in Criminology and B Theology. He served as pastor in churches in Warrenton (where he met his wife Elzette in 1991), Sasolburg and Johannesburg, where he has been a Minister of Religion for 25 years. He also completed his Honours, Masters and PhD in Psychology at the University of Johannesburg. He completed a Masters’ Degree in Sport and Exercise Psychology from the Catholic University in Leuven, Belgium. He is a registered Counselling Psychologist and taught Psychology and Sport Psychology at the University of Johannesburg for 15 years, before taking his current position of Professor is Sport Psychology at the University of Fort Hare. Elzette also studied at the North-west University since 1984, where she completed a BSc degree and received her HED from the University of Pretoria in 1988. She started a teaching career in Kimberley (where she met Leon) and taught in various schools (Sasolburg, Johannesburg, King Williams Town) till she started a career as E-learning specialist at the Faculty of Health Sciences of the University of Fort Hare. Leon and Elzette have two children, Rudolph (21) and Frances (19). Both of them are currently students at their Alma Mater (North-west University) in Potchefstroom. After completion of Diplomas in Game farm management and Hospitality, Rudolph is now studying a B Com (Tourism and game farm management), while Frances is studying a B Com (Chartered Accounting). Leon is a keen golfer and squash player, while both he and Elzette enjoy doing Park runs on Saturdays. We thank Leon and Elzette for the huge spiritual impact they make at St Patrick’s, and for their friendliness and support. We have been hugely blessed by their presence. Ons is baie dankbaar vir Leon en Elzette se vriendlikheid en kosbare bydra tot ons gemeente. Ons waardeur dit baie.